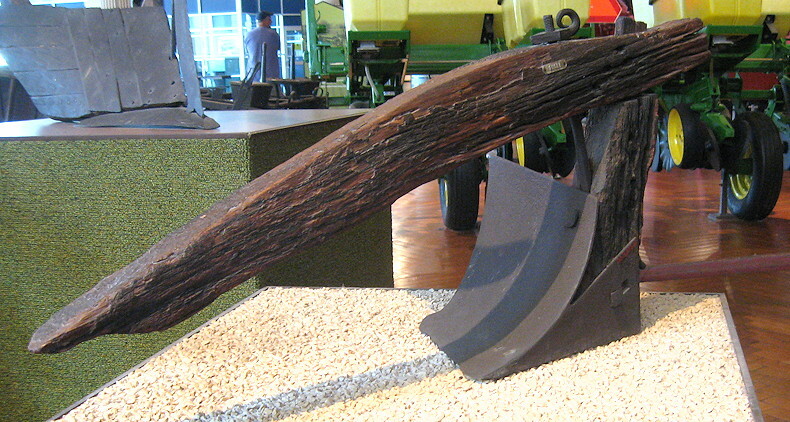 This is a follow-up to my post about CC’s job at the John Deere Historic Site (see my post of 5/31/12). Last week, we spent a few days in Michigan. Our trip included a visit to the Henry Ford Museum in Dearborn. It was a bit of a homecoming for us, since we’d both worked for the theater company that once called the museum home. Let me take a moment to say this: Very few people knew in advance that I was coming to town. There are so very many friends and family members that I’d love to spend time with, and I knew it wasn’t going to be possible within the confines of this trip. If I’d made a general announcement that I was coming to town, it would have made my unavailability all the more frustrating for me. Next time we’re in town, CC and I have resolved to visit Greenfield Village, which adjoins the HFM and is a wondrous place in its own right. Plus which, we know at least a couple of people who work in the Village! The above photo really needs a measure of scale. It's difficult to tell if it's six feet tall or a miniature prototype. If a person can't actually stand next to it, place a standard beer can somewhere in the shot. Incidentally, BG and I live less than ten minutes from The Henry Ford. Had no idea you lived so close to there! You make an excellent point about the lack of scale references in this photo, especially for us city folk who didn't grow up with much plowing going on in the 'hood. That piece of wood you see is perhaps 3 feet long - maybe a little longer as I recall.